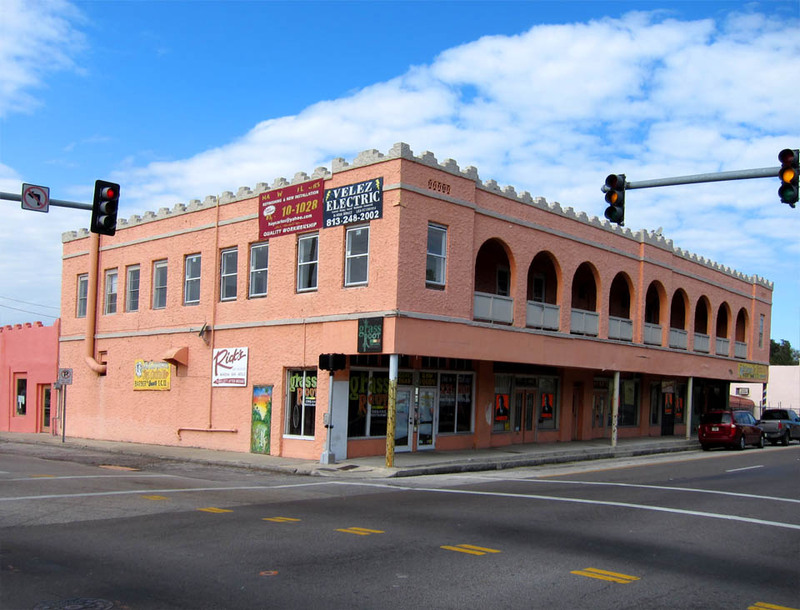 Once again, the property appraiser website reports that this building was built in 1927, but the date of the photo is 1925. 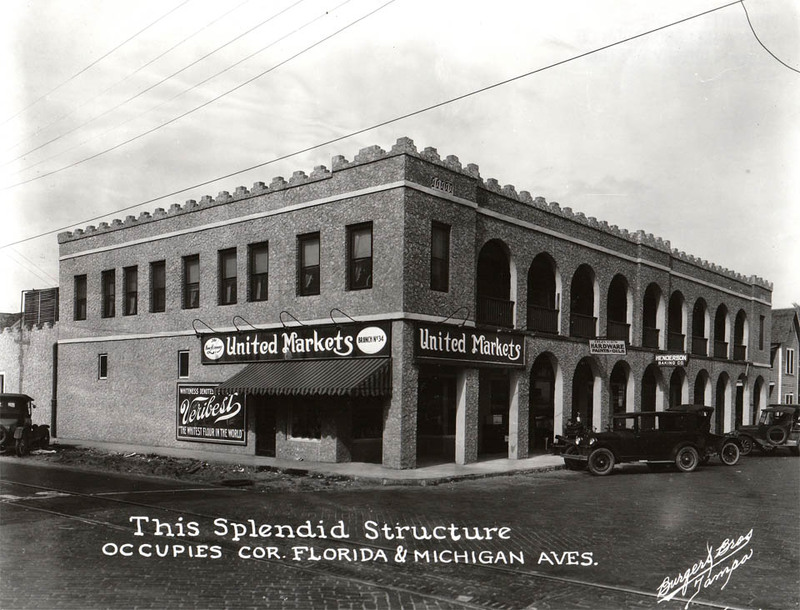 This once splendid structure used to house United Markets store. Personally, I think the building looked much nicer in the 1925 photo with the arches on the first floor. Currently, the building is the home of The Grass Roots Organic Restaurant. I agree wholeheartedly, with both of you. It looks like a couple of feet of the sidwalk was eliminated in front of the arches, so now the curb is flush with where the arches used to be.